Windows down, foot on the throttle and tunes blasting from your stereo. Driving Route 66 is the ultimate opportunity to listen to some of the greatest American road trip songs. But which tracks should make it onto your road trip playlist? 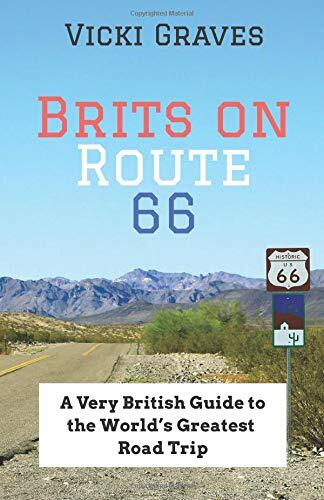 To help inspire you, I’ve listed the songs that Dave and I sang along to on our Mother Road adventure - in a Route 66 music playlist organised by each state you’ll visit. Some tunes are related to a state’s or artist’s name, or places you’ll see along the way, and some are just fabulous examples of road trip music. There are some tracks from the Cars soundtrack in there too. The playlist is designed for east to west journeys, but you can easily change the order of the songs for a LA to Chicago trip too. Happy listening! Have I missed anything? I’d love to hear your ideas for any other Route 66 music or American road trip songs I should add to the playlist. Write your suggestions in the comments so we can expand the list.